Hardy Kruger and John Wayne attend to Bruce Cabot’s work injury out on the African plane in Hatari (1962). John Wayne attends to Bruce Cabot who suffers an on the job injury in Hatari (1962). 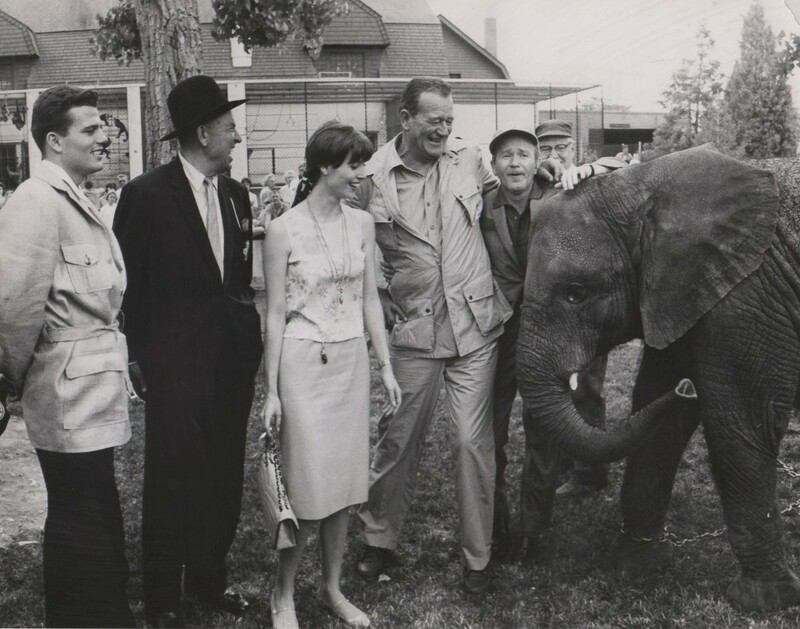 behind the scenes of Hatari (1962) with John’s son Patrick, Bruce Cabot, Elsa Martinelli and John Wayne.